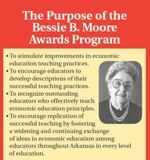 Congratulations to the winners of the 2016 Bessie B. Moore awards! The following winners have excelled with their innovative and effective approach to economic and personal finance education in the Prek-12 classroom. Well done! Rebekah Bilderback, Greenbrier School District, Which Trade Route is for Me: Sahara, Silk or Spices? They will be recognized during a gala luncheon on Nov. 17, 2016, at the Great Hall of the Clinton Presidential Center in Little Rock. 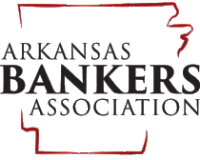 Sponsor opportunities are available, please call our office at 501-682-4230. Thank you.